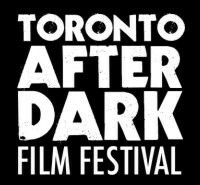 Toronto After Dark is one of the world’s leading showcases of new Horror, Sci-Fi, Action & Cult Movies. Each October, in the run-up to Halloween, the critically acclaimed event, screens about 50 new feature films and shorts over nine nights in front of over 11,000 attendees, including over 200 members of Press and Industry in Toronto. Programming manager Christian Burgess chatted to Jeff about how the festival came about and the film selection process. Last year, they set a record with 600 submissions (that’s including short films). They got about 350 features. “It’s amazing to see all the amazing stuff being produced.” There are lots of creative people out there. This year’s festival is discussed as well as fave films programmed in festivals’ past.